Educo360, Inc. is a group of educators with the singular focus of maximizing the educational interactions between students and teachers. All of our employees have classroom experience and, as such, have the insight into the challenges associated with delivering a positive educational experience for our students. Our products and services are evolving based on both ours and our customers' past and continuing experiences in the classroom (online and residential). The common practice of annotation throughout student papers is inefficient. Exclamation points and excessive repetition in annotated marks can be perceived by students as anger and frustration by the teacher. Standardized comments facilitates consistency, improves efficiency, and assures that comments strike the right tone with students. This suggests that a standardized, programmatic approach across assignments, classes, and teachers will improve students’ receptiveness to feedback. These efficiency gains are important because today’s secondary schools are often high-stakes-testing educational environments that are dominated by test preparation. It certainly can be argued that this lack of time creates an environment where teaching has become formulaic and generalized in a way where it is very difficult for teachers to create meaningful writing assignments that they have time to effectively and comprehensively grade. By moving the bulk of the grading to an electronic, educator-controlled process and using standardized comments, teachers will be enabled to very efficiently comment upon writing assignments with comments designed for their students and prove effective at creating positive educational change, and can then spend their time addressing individualized feedback based on a student’s needs. This ensures that teachers can spend their time with students on the types of interactions that are unique to each students’ educational needs. Educo360, Inc.’s vision for GradeAssist goes beyond any one particular style, technological platform, or educational context. Research efforts into the most effective ways for educators to provide feedback to students are ongoing; insights from these research projects will be integrated into subsequent versions of the product. Additionally, given the heterogeneous and rapidly changing nature of the platforms available to educators for grading written work (PC, Mac, and Linux computers) and the growing number of mobile devices that might facilitate grading in non-traditional environments, it seems crucial to evolve the software from a standalone, platform-specific helper application to a self-contained, comprehensive server-based product that supports access via the wired Internet and wireless devices. A platform-independent server-based product would also facilitate the development of a collaborative educational community and efforts to support peer education, testing and refinement of grading methodologies and enhanced feedback messaging, and more. Educo360, Inc. takes a user centered approach to our product design and implementation. This is born out of the fundamental belief that products that are easy-to-use are designed in a way that are grounded in the experiences of the user. 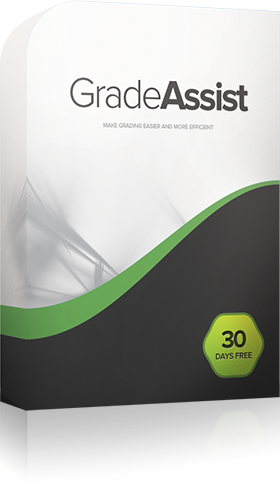 In every iteration of our GradeAssist software we have integrated and redesigned our products based on your feedback. As we move forward, it is our vision to create the kinds of tools for teachers, students, parents, and administrators that help students succeed in their academic endeavors. As educators ourselves, we know from personal experience the delight we feel when we see a student succeed beyond his or her own expectations.